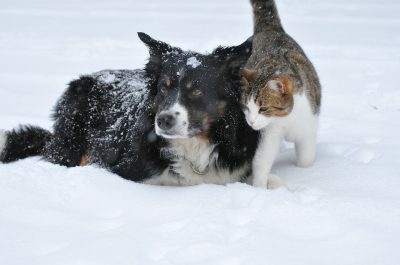 DENVER, CO – With Denver hitting some of the lowest temperatures it’s ever faced, the government is reminding people that animals need to be warm too. Denver Animal Protection is beginning the New Year right, with some ordinances to protect your pet. Pet safety is important, and often people forget that. The government is reminding people of this city’s animal ordinances. Because if you don’t keep your pet taken care of, the consequences are dire. You could possibly face huge fines and even jail time. If your dog is outdoors, it is detrimental that you have adequate outdoor shelter. Thid shelter include a dog house or a porch where your animal can be safe from the elements. The fines that the governments are imposing are up to 1,000 dollars. The reason the fine is so high, is that not taking care of your pet is considered animal neglect and animal cruelty. Firstly, then bringing your animal indoors from the cold weather, remove all salt and ice off the animal’s coat and paws. Also, ensure your pet has plenty of water so that they can stay hydrated. Lastly, feed your animal a little extra. Because the animal burns more energy trying to keep itself warm, you must feed your animal more so that it receives the extra, much needed, calories.